The Election Commission of India (ECI) has banned UP CM Yogi Adityanath and Bahujan Samaj Party (BSP) chief Mayawati from election campaigning for 72 hours and 48 hours respectively. The ban will start from 6 am tomorrow, for violating the EC's Model Code of Conduct by making objectionable statements in their speeches. The BSP supremo, in her speech in Deoband UP recently, had appealed to Muslims not to vote for a particular party. The EC said the BSP supremo prima facie violated the Model Code of Conduct. During her rally, Mayawati said the Congress party was busy dividing the votes and cautioned the gathering to guard against any such attempt. "In western UP, where people of all communities live...in Saharanpur, Bareilly, where there is a huge Muslim population...I want to tell the Muslim community...don't divide your votes...give it to the BSP, SP and RLD alliance," she had said. The EC had earlier asked her to explain her position on the matter in 24 hours of receiving the notice. Starting a row with his comments on the BSP supremo's remarks, UP CM had said if the Congress, SP, and BSP believe in Ali, then we (BJP) also have faith in "Bajrang Bali (Lord Hanuman". Yogi was also served a notice by the EC and was asked to explain his stand on the issue in 24 hours. "The commission, after considering available material in the matter, has decided to provide Yogi with an opportunity to explain his stand regarding the said statement. The explanation shall be submitted within 24 hours of the receipt of the notice, failing which the commission shall take a decision without further reference," Principal Secretary, Election Commission, Anuj Jaipuriar had said. Retorting to Yogi's "Ali" remarks, Mayawati said people of UP should ensure that the BJP does not "get either Ali's vote or Bajrang Bali's vote." The UP will go for the second phase of the 2019 Lok Sabha polls for a total of 8 seats on April 18. 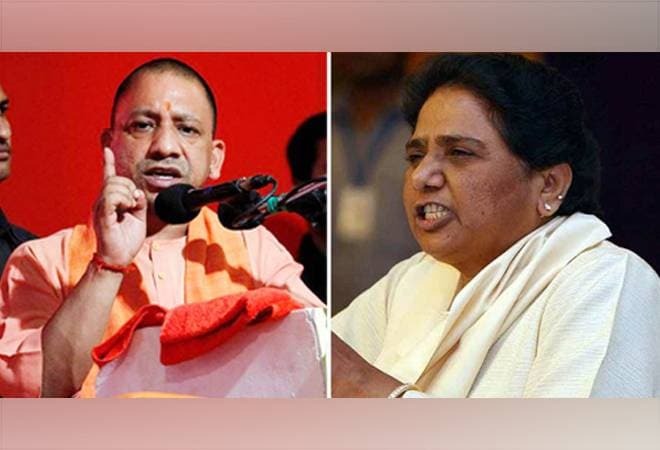 The state, which sends maximum 80 MPs to the lower House of Parliament, this time is seeing a triangular contest between the BJP, SP-BSP alliance and the Congress.